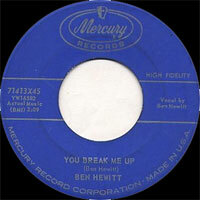 Chanteur Rockabilly US né le 11 Septembre 1935, Ben Hewitt a enregistré pour Mercury et Plantation Records. Il est décédé le 8 Décembre 1996. 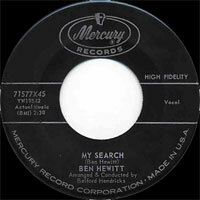 US Rockabilly singer born September 11, 1935, Ben Hewitt has recorded for Mercury and Plantation Records. 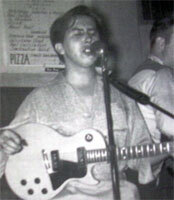 He died December 8, 1996. 1986 LP 12" HYDRA BLK-7704 (GER) TORE UP ! - Rock 'n' Roll Fever / That Night In Jamaica / Bop A Lena / Together, Together / I'm Gonna Get To You Yet / Tore Up / Can't Cha Feel It / You Really Got A Lot Of Style / The Right Place In My Heart / To An Old Friend, With Love / Shattered / Flip Flop And Fly.